Need to make a run for it without breaking the bank? Check out these affordable options — both domestic and international — from Logan and TF Green. If you’re the type of traveler who prefers to spend your money at your destination rather than on getting to it, keeping airfare costs down is a priority. For that, it helps to know when not to fly: Summer and the weeks flanking Christmas are typically priciest. If you must travel during those periods, book three to four weeks in advance for summer flights, and fly on December 24 and 30 for the holidays, TripAdvisor (tripadvisor.com) recommends. Thanksgiving, on the other hand, “is a bit of hidden gem,” says Scott Keyes, founder and chief executive of Scott’s Cheap Flights (scottscheapflights.com), a web service that alerts users to substantial discounts. When domestic flights get pricey, that’s a great time to travel overseas. To find the least expensive months and days to travel to a particular destination, Skyscanner (skyscanner.com) and Google Flights (flights.google.com) are excellent tools. Use them in tandem with another service, such as Momondo (momondo.com), which scans multiple booking sites at once, to ensure that you don’t miss any options. If your travel days and times are flexible, search several departure and return dates; tickets for flights a day — or even a few hours — apart can differ by hundreds of dollars. Note: Fares listed below show prices that were accurate as of press time, and although fares can change quickly, you should be able to closely replicate them. But wherever you want to go, if you check often, create price alerts, and commit to traveling light, far-flung destinations may be closer — and cheaper — than you think. During its fall sales, Norwegian (norwegian.com/us), which began flying out of Providence in June 2017, offers rates as low as $99 for one-way tickets to Dublin between September and March; return flights will be closer to $137. (Don’t expect to find deals over St. Patrick’s Day, though.) Even without the sale, you can get to Dublin and back for as little as $241, though the lowest fares do sell out quickly. Norwegian tickets always include a carry-on — a checked bag costs $45 each way — but no seat assignment; you can pay for one online ($11 each way) or wait to get one free at the airport. Like many budget carriers, Norwegian charges for meals, booking by phone, and paying for checked luggage at the airport. To avoid surprise and frustration, always read the fine print. Even if budget airlines aren’t your thing, says Keyes, “they’ve been enormously helpful for consumers in general, because they’ve forced down the prices on other airlines.” That appears to be the case on the Boston-to-Mexico City route; when JetBlue (jetblue.com) announced in July that it would offer nonstop service to the Mexican capital for as little as $153 one-way, some other carriers followed suit. We found even lower ($136) fares on JetBlue, and round-trip tickets for $306 in January and $242 in February. A carry-on is permitted, but a checked bag costs $30. Aeromexico (aeromexico.com) has a competitive price, under $300 (plus $30 for checked baggage), for the same time frames. While most of Puerto Rico’s hotels and resorts have been rebuilt, many neighborhoods and residents are still recovering from Hurricane Maria, and your tourism dollars could play a part in helping the island bounce back. (Or consider a volunteer vacation with an organization like All Hands and Hearts, which focuses on disaster relief.) Puerto Rico’s year-round 80-degree temperatures makes it an appealing destination just about anytime; one-stop flights in February go for around $286 round-trip on American (including a carry-on — a new benefit as of September; checked bags cost $30). Good fares can also be had in April and May. You probably already know that traveling during off- or shoulder seasons can yield big savings for popular destinations. For example, not many people take their kids out of school in September to go to Disney World, but I’ve done it twice. Not only are the parks less crowded and hotels more affordable, flights are more accessible, too. Spirit Airlines (spirit.com), from Logan, and Frontier Airlines (flyfrontier.com), from T.F. Green, offer round-trip tickets for around $100 — sometimes less — in the fall. Be aware, though, that each charges for a carry-on (around $30), not just for checked baggage. If you need more luggage or you’re traveling as a family, warns Keyes, “all of a sudden, that’s a lot of money.” Do the math — sometimes a higher fare can lead to a lower overall price. Love to ski? With multiple resorts nearby, hip but affordable Salt Lake City is a possibility for as little as $133 round-trip with Southwest’s Wanna Get Away fares. Most carriers will charge you extra for your gear, but Southwest (southwest.com) always allows two bags free — including skis and snowboards. Considering that multiple US airlines have bumped up baggage fees in the past few months, this is a significant perk. Like most economy fares, Southwest’s are nonrefundable; however, the carrier doesn’t charge change fees — which can be up to $200 — as many others do. Southwest flights don’t appear on any third-party sites like Kayak (kayak.com); go directly to the airline’s site to compare fares and book. Most people think of Mardi Gras as being one day, but in New Orleans, it’s an entire season, beginning January 6, or Twelfth Night. If you’re willing to go a few weeks prior to Fat Tuesday (which falls on March 5 in 2019), you can still catch parades, parties, and incredible food, and miss the massive crowds — and prices. You can get there for under $200 round-trip in January or February on Spirit. Pack light, or consider joining the airline’s $9 Fare Club ($59.95), which provides access to even cheaper fares and discounts on baggage fees. From now through the beginning of May, United Airlines (united.com) will fly from Boston to Shanghai for around $550 round-trip, including two checked bags. After that, fares begin to climb back up. If these superb rates are gone by the time you log on, Air Canada (aircanada.com), Delta, and others offer still reasonable economy fares in the low- to mid-$600s range, still a very reasonable rate to visit this fascinating city filled with history, glamour, and culture. At just about $200 round-trip with one stop from Providence on American Airlines (aa.com) and Delta (delta.com), or $211 round-trip nonstop from Boston on Delta and JetBlue, a flight to Nashville in February will set you back far less than that gaming console your kid’s probably been begging for. 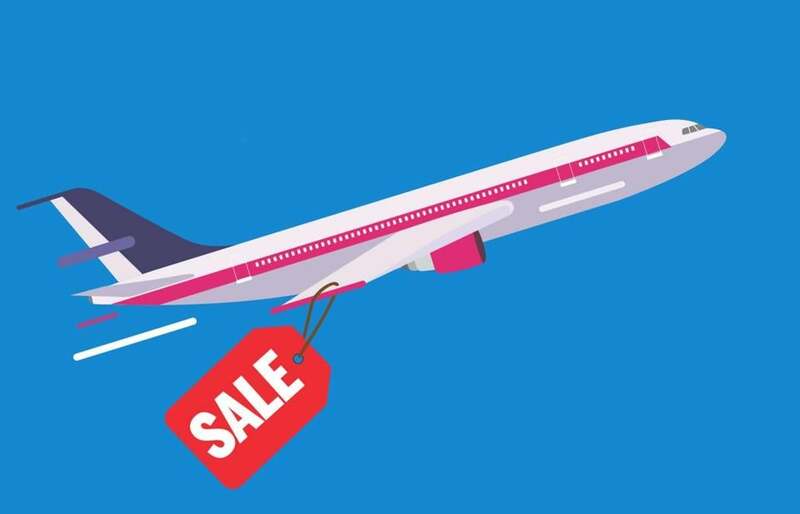 Be aware though that bargain flights during February school vacations often sell out quickly. According to TripAdvisor, Nashville offers some of the best hotel discounts nationwide during the winter months, when temperatures hover around 50 degrees — downright balmy compared with New England. An inexpensive escape filled with barbecue, bourbon, and lots of live music? Sounds like the perfect antidote to shoveling out the driveway again. Since the Spanish carrier Level (flylevel.com) announced it would drop the price of nonstop flights between Boston and Barcelona to a bargain low of $149, some other carriers’ fares also seem to have become more affordable. We found even further reduced tickets on Level, for as low as $114 one-way and $258 round-trip in December through Level’s site, and similar flights were available through February. An economy ticket includes a carry-on; a checked piece runs $44. As with Norwegian and others, pay for luggage online for the best price.